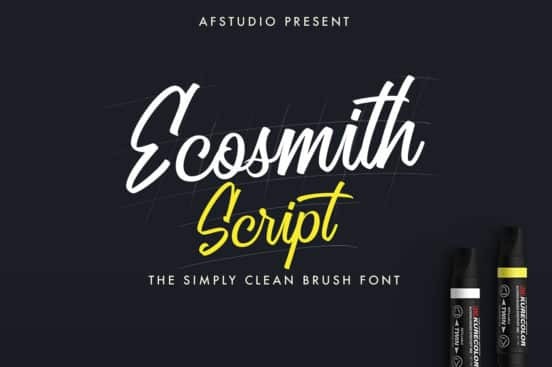 It seems like you can never have enough fonts, especially free typefaces. 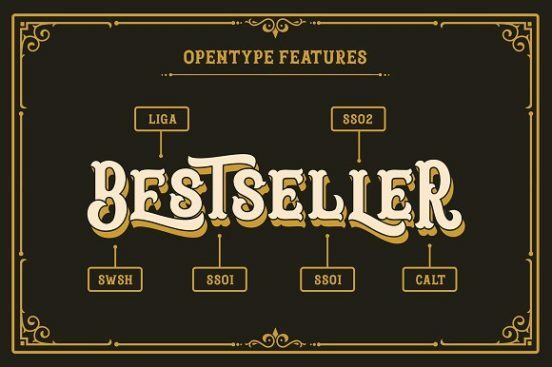 With so many creative designers offering their free fonts for download, it’s easy to miss out on a few great sets. Don’t worry though, because we comb through the latest offerings across the internet to present to you. Want a free font inspired by animals? 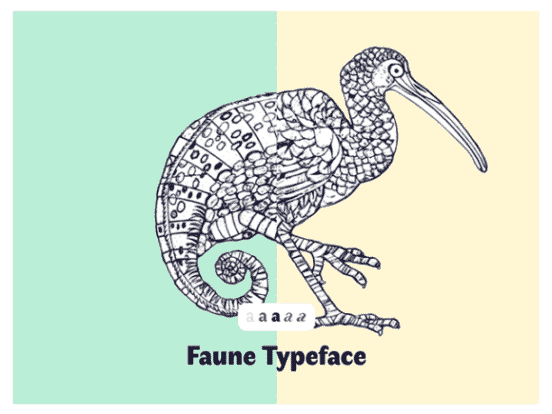 Download Faune which was commissioned by the Centre National des Arts Plastiques in partnership with the Groupe Imprimerie Nationale and designed by Alice Savoie. Lora has been out for a while but it may have missed your radar. It was designed by Olga Karpushina in 2011 then designed with an extension by Alexei Vanyashin in May, 2013. 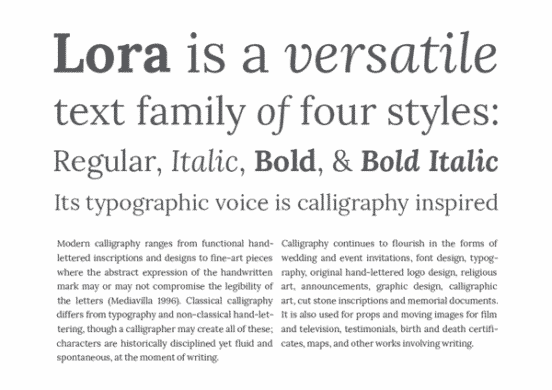 This font features a calligraphic base and comes in 4 styles. Creative Market is always a good source for free design goodies, and you can enjoy Luna for free for a limited time. 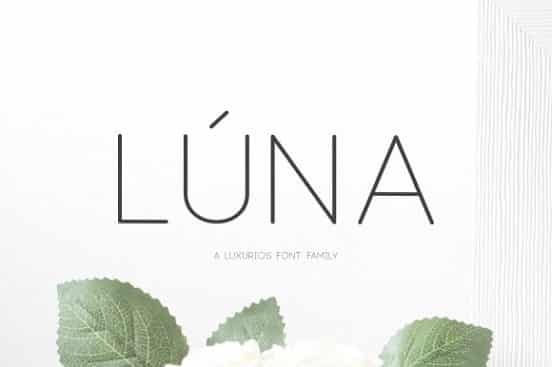 Described as a “luxurios font, it comes in thin, regular, medium, bold and more, plus features multiple language support. Blastrick is another free font at Creative Market available for download. The typeface is a vintage layered type system that allows you achieve a classic 3D shadow effect. It comes in Normal, Outline, Shadow Outline, and several other styles. Designed by Adam Fathony, this premium font is free for commercial use from BeFont. It has a bold style perfect for posters, social media graphics and other pieces where you want to command attention. Abys was created by Ioana Archontaki (a.k.a Ioana J. Alfa) and shared by Claire Susie Jane and Ioardanis Passas. 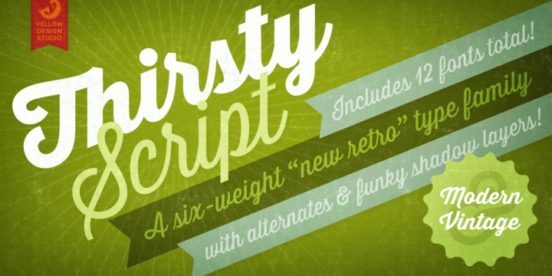 This uppercase brush font has a nice punk edge and is great for most designs. 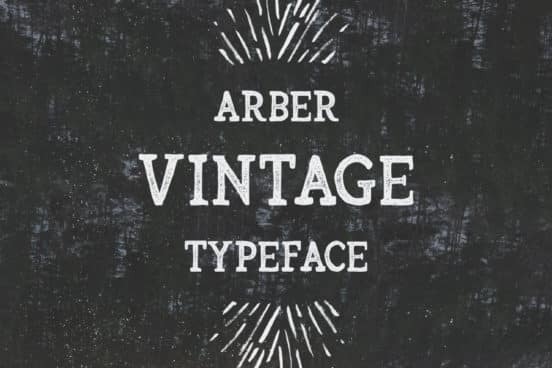 This vintage font was designed by Krisjanis Mezulis for an art project. Every letter of the typeface has been painstakingly hand drawn with a thin water brush on acrylic paper then scanned. The result is a stunning font that’s perfect for BIG text. 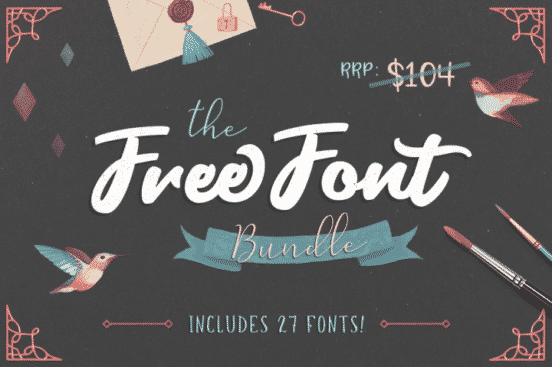 Finally, we have a mega bundle of free fonts for download from The Hungry Jpeg and individual designers. The fonts included all come with commercial use license and are 100% free. You’ll find 27 fonts packaged in the bundle for a total value of $104 but it’s free for a limited time — you just need to unlock it with a share or tweet.